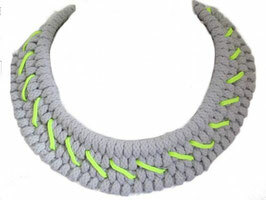 Lite Grey collar necklace handwoven into a zigzag knot. 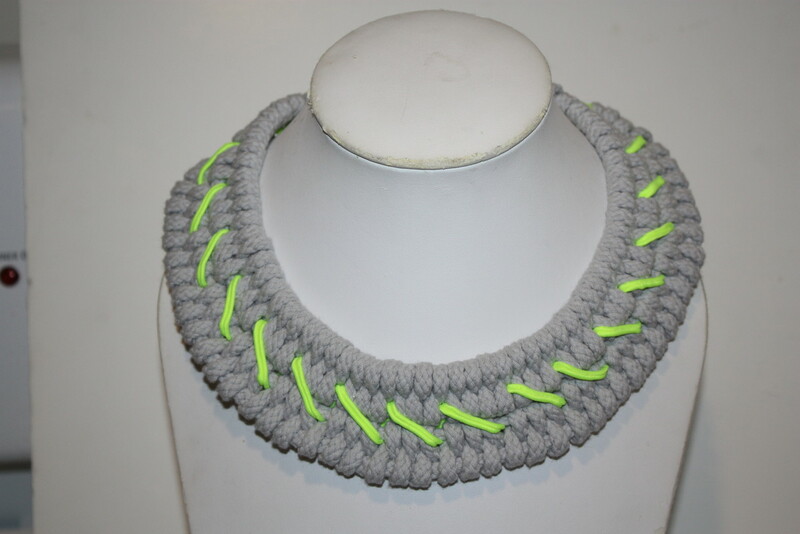 Neon green rope accented throughout. Silver hardware. Lobster Clasp closure.